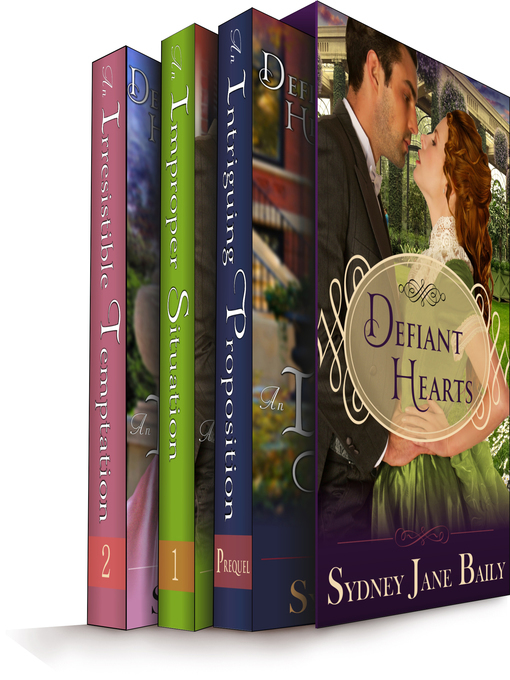 From critically acclaimed author, Sydney Jane Baily, comes the first two stories in her tantalizing Victorian Romance series, Defiant Hearts. An Intriguing Proposition: Intent on keeping the news of foreclosure from her grieving, funds-starved family, Elise answers the bank summons and faces Michael Bradley, an old flame who still owns her heart. When Michael extends an unseemly dinner invitation, Elise invents a nameless suitor as an excuse. Now, to save face, she must produce him. An Improper Situation: Desperate to keep the children she's come to love, Charlotte heads for Boston to find Reed Malloy, the heart-stealing lawyer who left the orphans in her care, only to discover that Boston's glittering high society intends to keep them apart.